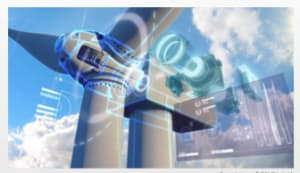 A number of terms like “digitization”, “digital twin”, and “digital thread” have started to emerge in the product design world. While these terms have loose and varying definitions, the core ideas that underpin each of these concepts are becoming increasingly important to successful product development. Put shortly, “digitization” is the process of moving from an analog strategy for connecting product and configuration to a digital model that makes it easier to rapidly iterate product designs. While capturing data in a digital paradigm is undeniably useful, the process of transitioning from an analog to digital paradigm can be daunting. To make the job easier, companies should consider investing in Model-Based Enterprise (MBE) software that can eliminate many of the struggles often found in analog to digital transitions. For those considering this switch, the following eBook will be a valuable roadmap for their transition. What MBE is and why it matters. Why it is critical to integrate MBE with a Product Innovation Platform. How MBE can help maximize the data that informs product design decisions. Complete the form on this page to download your eBook. Your download is sponsored by Razorleaf.